Being the 3rd winner of the 2008 Indica Cannabis Cup,Night Shade doesn’t hide her best marijuana qualities and generously share them with her owners. Like any mostly indica, these cannabis seeds copes pretty well with mild stress. Her seeds are easy to vegetate, have a good germination rate and produce healthy seedlings. 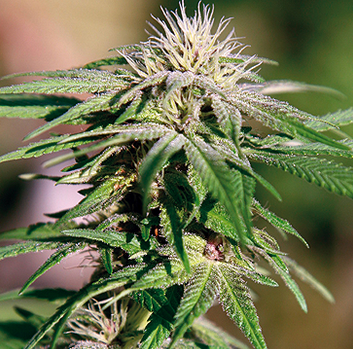 Experienced cannabis growers can recognise indica characteristics from the first growing weeks. The plants are fairly short and stocky; they grow quite bushy and so need a bit of room to spread out. Flowers developed byNight Shade are compact and have round swirls that develop hairy sticky hues near the finish. The close internodes of this plant make it highly suitable for sea of green growing. Indoor plants mature in 10-12 weeks. Some marijuana smokers leave her for another week to get the most of it. 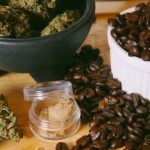 Plants grown from Night Shade feminized seeds have huge main colas indoors or outdoors, with respectable additions to the yield from the controlled side branching. 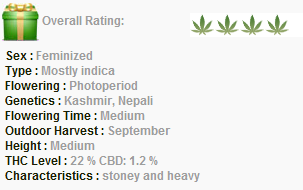 This strain finishes at the end of September in regions with mild climates. 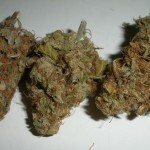 Marijuana of this variety is said to have 22% of THC that makes her effect very powerful and heavy. It will wrap its arms around you and leaves you feeling cocooned and warm. Ever grow or smoke Barneys Farm Night Shade? Tell us about it below!